Deeply rooted in African culture, Bantu knots were originally an African-American hairstyle that eventually trickled down to the punk scene in the ’90s, and have now been experiencing quite the mainstream renaissance. 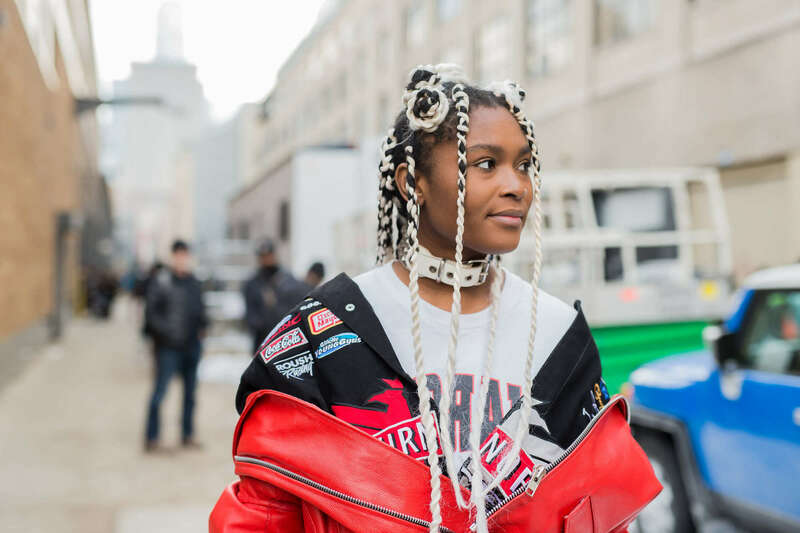 Everyone from fashion V.I.P.s to street style stars have taken to appropriating this hairstyle renowned not only for its rich history, but for its place in the resurfacing grunge movement. Pop-culture-wise, a lot of us came to know and love the Bantu knot out as the hairstyle of choice among famous ska and electronica music stars. When paired with your typical garage-band staples like elephant pants and platform sneakers, the look was definitive of ’90s club-kid edge. Non-natural textures may also experiment with a Bantu-knotted look. Nowadays, runway designers—especially those heavily steeped in a street-style aesthetic—have been parading their muses down sporting this funky, knotty hairstyle. This comes as no surprise to us in the hair industry, as Bantu knots are not only fierce, they’re also quite practical and easy to recreate. Add to that its hot-weather-friendly characteristic? Instant #FestBest! Read on to see how to make this fun natural hairstyle in minutes. Step 1: Start with a clean scalp. Bantu knots create a grid on your head that exposes your scalp, so make sure it’s healthy-looking and definitely grease-free. Try Dove Dermacare Scalp Invigorating Mint Anti-Dandruff 2 in 1 Shampoo & Conditioner. Step 2: Start on dry, well-moisturized, detangled hair. 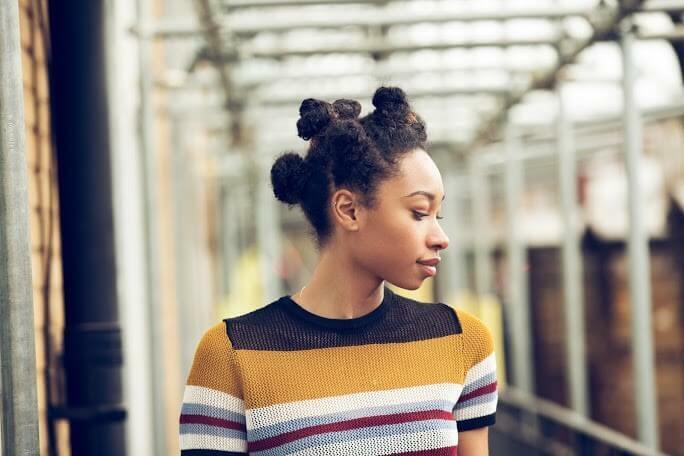 Although wet hair makes your knots more compact, they won’t hold a ringlet’s shape in the event you want to remove your knots for a curly Bantu knot out. A light coating of leave-in conditioner like Dove Absolute Curls Leave-In Detangler is great in keeping hair, especially natural textures, in optimum knotting (and deknotting) condition. You can vary the number of sections depending on how tight you want your eventual Bantu hair knots to be. Some women prefer creating around four mini-buns all throughout; some prefer a lot more (and smaller) bulbs. Using a fine-toothed or rat-tail comb, create a grid on your hair starting with bigger horizontal sections, then further dividing them vertically. To Bantu twist hair, prep hair with a texturizing agent, then create your rope twist. Working section by section, begin twirling the hair strands by first using your finger (to make a shiny, rope-like string), and then coiling this now-twirled section around itself, creating a knot that resembles a spring. 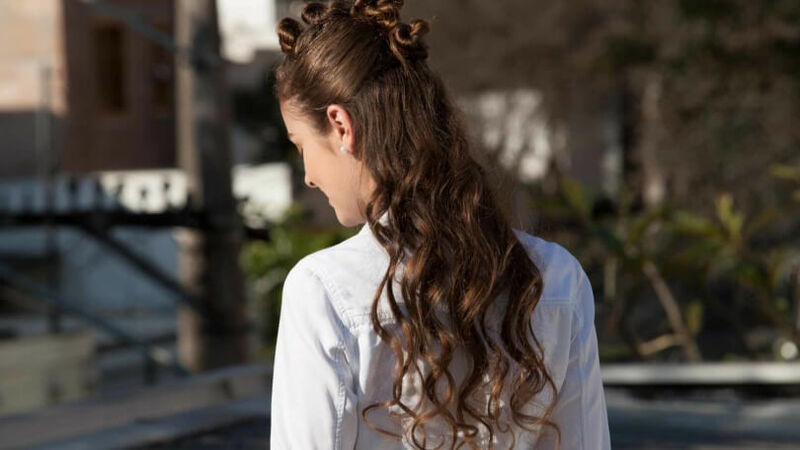 Longer hair can result in snake-like coils or funky figure-eights, which can also produce a more interesting curl when removed. Shorter hair needs a bobby pin to secure itself; longer/thicker Bantu hair knots can be secured by tucking the ends around their own base. If all else fails, there’s always a hair tie! Note: Don’t knot your hair too tight! 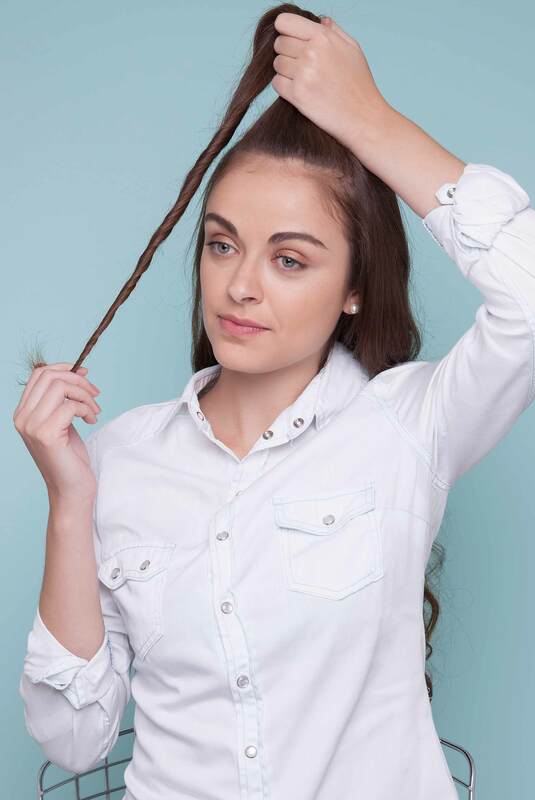 Best to start twirling and coiling around ½” to 1” away from your scalp for less tension and more slack, in case you end up sleeping on your knots. Step 5: Unfurl or let sit. If you’re looking to create knot-out curls, unfurl the knots the next day and loosely shake them out. Otherwise, spritz with a light, humidity-fighting hairspray like TRESemmé Climate Protection Finishing Spray (knotted hairstyles can be prone to cowlicks and frizzies), and you’re done. 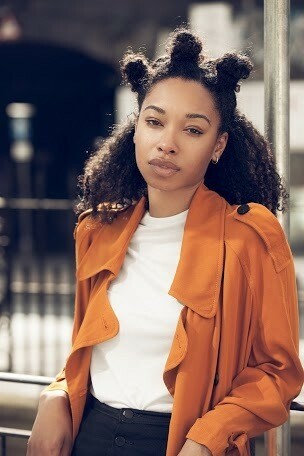 A very versatile look, Bantu knots can be worn in a half-updo version too. Have you ever tried wearing Bantu knots style? Try your hand at more cultural hairstyles this season like one of these twist styles.